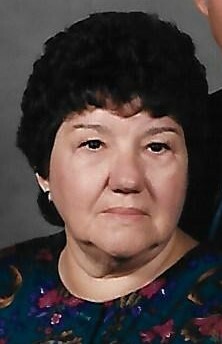 Williamsport, MD – Janice Marie Kelley, 87, of Williamsport, MD passed away on Sunday, April 14, 2019 at her home. She was born on July 24, 1931 in Clear Spring, Maryland to the late Clay Upton and Mattie Elvina Trumpower Shives. She was a 1949 graduate of Clear Spring High School Clear Spring, MD. Janice was employed by Washington County Health Dept. of Hagerstown, MD until retiring in 1991. She was a member of St. Peter’s Lutheran Church Clear Spring, MD. She enjoyed cooking, sewing, and birdwatching. She also enjoyed traveling the United States by automobile. Janice was a past volunteer at Ravenwood Lutheran Assisted Living. She also volunteered with the Clear Spring Volunteer Fire Company Auxiliary and the Clear Spring Ambulance Club. She is survived by her husband Robert Alvin Kelley whom she married on May 12, 1951; son Colin L. Kelley and his wife Debra C. of Williamsport, MD; sister in law Nancy L. Shives of Halfway, MD; granddaughter Mistie D. Kelley; several nieces and nephews. Janice was predeceased by two brothers Gene D. Shives and Donald L. Shives. The family will receive friends at the Osborne Funeral Home 425 S. Conococheague St. Williamsport, MD on Wednesday, April 17, 2019 from 6:00-8:00 pm. The funeral home will be open after 9:00 am on Wednesday for the convenience of family and friends. Graveside services will be held at Cedar Lawn Memorial Park Hagerstown, MD on Thursday, April 18, 2019 at 2:30 pm with Pastor Richard “Rick” Shives officiating.